The Southeastern Regional meeting of the American Society of Biological and Agricultural Engineers Student Chapter is coming to Raleigh in 2019! The event will take place April 5th to 7th, 2019. BAE senior Justin Traenkle was elected president of the ASABE Southeastern Region and Brie Saur was elected treasurer. Both played a huge part in garnering the support needed to bring Rally to Raleigh! 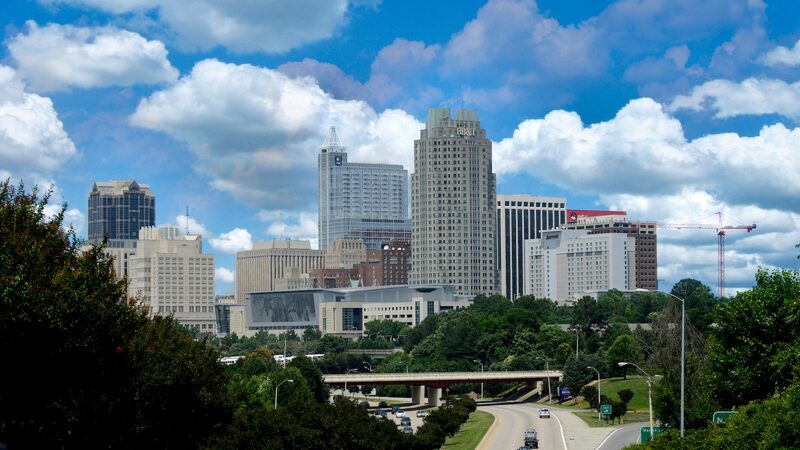 Students attending Rally will be accommodated right in the center of beautiful downtown Raleigh. During the day they will be able to tour industry in the Raleigh area and the facilities in Weaver Labs, have dinner with deans from both the College of Agriculture and Life Sciences and College of Engineering, and meet with NC State BAE faculty. Attendees will also get to explore all of NC State’s campus with a scavenger hunt and a trip to the James B. Hunt Library, which captures the innovative, forward-looking spirit of NC State University. The traditional Rally formal banquet will be held at the North Carolina Museum of Natural Sciences. Professional development will play a major part of the program with sessions on graduate school, Extension, a young alumni panel and the benefits of ASABE membership. The Biological and Agricultural Engineering Department at NC State is excited to host these students and show what BAE is like here in Weaver Labs, NC State University and Raleigh! But we need your help. Volunteers and sponsorships are needed. Please contact Garey Fox if you’re interested in being a part of making this event even better! Stay tuned for more information and Rally updates as Spring 2019 approaches. For more information visit go.ncsu.edu/raleighrally. Follow #RallyinRaleigh for social media updates and sneak peeks.